Check out Childish Gambino performing his latest single “Freaks and Geeks” live and acoustic here. The video was posted by Donald Glover himself via his Twitter account. You can catch Donald on his IAMDONALD Tour through April and May. Check out the dates here. Childish Gambino’s upcoming Freaks and Geeks EP will be out on March 8, 2011. Adele recently performed current single “Rolling In The Deep” and “Someone Like You” on Jimmy Kimmel in support of her new album 21. Check out the two performances below. 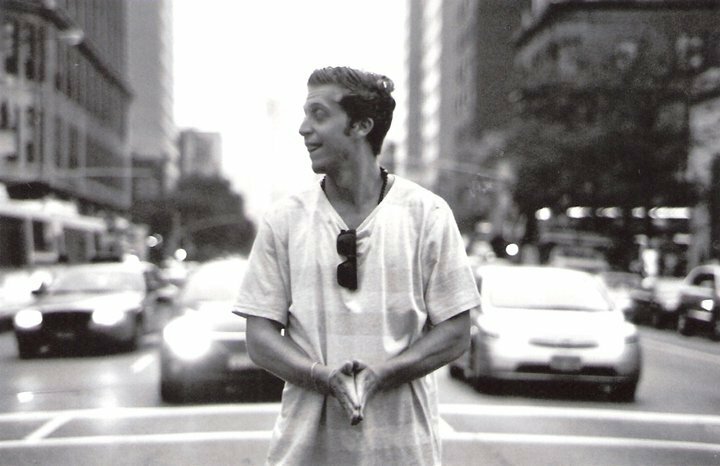 We recently sat down with NYU student and up-and-coming rapper ZAK!, who recently released his new Stuck To The Sidewalk mixtape (download here). He talked about his tour with Hoodie Allen, his sound, his friendship with Joakim Noah of the Chicago Bulls, and more. Check out the interview below. LitS: Who’s your favorite rapper? Who would you compare yourself to? ZAK! : I don’t really have a “favorite” rapper. There’s some I listen to more than others. I also really don’t like making my own comparisons. People can make them themselves. Even though I definitly grab influences from other rappers I like to think at the end of the day I’m doing sometime unique to myself. LitS: What producer do you really enjoy working with? ZAK! : Right now I’ve been working with my DJ / Engineer / Producer DJ Fresh Direct. He basicially does it all. And on this next project were really going to sit down and create some serious stuff. Its good for me to able to help him create the music, and vice versa when it comes to the song lyrically. Also my good friend Astro Raw has produced multiple of my tracks and really has a solid New York vibe. LitS: How was your recent tour with Hoodie Allen? Any memorable stories? 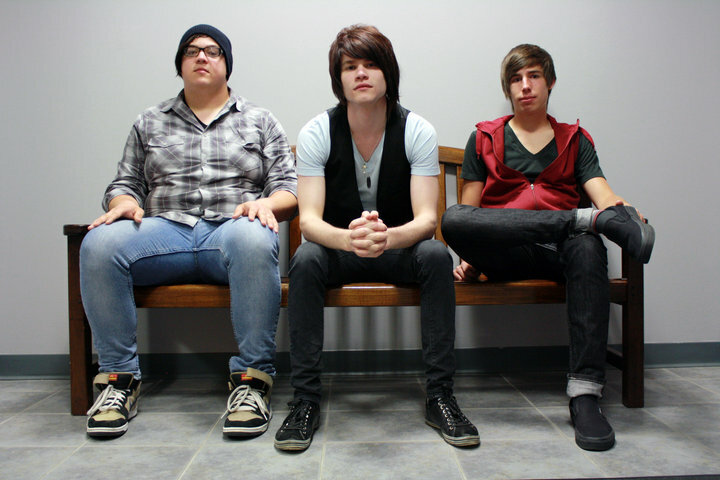 Recently, we had the opportunity to talk with up-and-coming Jersey based pop/rock band A Lifelike Story. We talked about their recent signing to JMD Records, their debut EP Never Have I Ever, and their future plans. LitS: First off, for the people who haven’t heard of your band before, tell us a brief history of A Lifelike Story. A Lifelike Story: We are a three piece pop/rock band from central New Jersey consisting of Bryan Welsh (Vocals/Guitar), Garrett Hoffman (Bass/Vocals) and Chris Mueller (Drums). After going to the same high school and being in other projects, we got together and started writing and performing in the fall of 2009. LitS: This past November you released your debut EP titled Never Have I Ever. So far, how has this EP been received by the public? ALLS: The EP has already received a lot of positive attention from the public as well as representatives within the industry. We’ve been overwhelmed with the feedback that has been associated with the release. LitS: Explain to us what A Lifelike Story’s writing process is like. The Romany Rye will be releasing a brand new full length this summer. For those that can’t wait, the band has released a song from the new album titled “I Hate Myself (For Loving You)”. The song was produced by Kelly Winrich (Delta Spirit) at Matt Costa‘s studio in Santa Ana. You can listen and download the MP3 below and check out the band’s upcoming tour dates, including two at SXSW, after the break. Following the release of the “reworked” version of the song “Last Night At theJetty”, Animal Collective member Panda Bear will be releasing a brand new single, “Surfer’s Hymn”, March 14th on Kompakt Records. Also on the single will be a remix of his song “Tomboy” by the producer Actress. Check out Kompakt’s description of the two songs below and make sure to order the single on their site in March (there will be no pre-order available). Panda Bear’s new album, Tomboy, will be coming out April 12 via Paw Tracks. “On March 14th, KOMPAKT is thoroughly honoured to release the final installment from ANIMAL COLLECTIVE’s Noah Lennox aka PANDA BEAR limited 7” series. This follows previous 7″es on his own PAW TRACKS label, as well as FATCAT and DOMINO as the build-up continues to his forthcoming full length TOMBOY on PAW TRACKS due out in April. SURFER’S HYMN eases like the ocean crashing against the beach. In fact, Noah’s voice ebbs and flows in harmonious grace with a sample of that very sound while the blissful thump of a bass drum keeps the song together. ACTRESS of Honest Jon’s fame makes a rare remix appearance with a take on the original – his signature tribal thump makes ease in what is the most straight laced dance floor stunner we’ve heard from him ever. Somewhere found between DJ KOZE and VILLALOBOS we are thoroughly floored with this remake. As with the previous releases, Scott Mou (1/2 of Jane w/ Lennox and from Other Music) does an impeccable job creating the artwork for this release. Foo Fighters have released the lead single, titled “Rope” for their forthcoming Wasting Light album. Wasting Light is set for a April 12th release via RCA. Check it out below. Daft Punk recently rocked movie theaters and headphones with their soundtrack to Tron: Legacy, but there hasn’t been much to keep the dance going since then. Listeners in this plight need only to take a gander at Australia’s Cut Copy for their next dance-rock fix. Their third album, Zonoscope, was released February 15, and when it shines, it shines brightly. The party starts with the techno opening to “Need You Now”, building up and adding layers of sound until Dan Whitford’s vocals kick in. Though initially slightly off-putting, in this song, he displays a decent range and contributes his own unique part up to the climactic ending. It is a great way to open the album and a display of Cut Copy playing to their strengths. These strengths shine through for much of the first half of Zonoscope. “Pharoahs & Pyramids” begins with an intriguing synth intro to build anticipation. Slowly, more instruments and layers are added, creating a richly textured musical landscape. As the music swells, it suddenly gives way to a fun, syncopated bridge, eventually erupting into dance nirvana. “Blink and You’ll Miss a Revolution” is full of musical mischief, with wooden blocks belying the initial bass groove. As the song continues, though, the music evolves, not only by adding more layers, but by changing the placement and instrumentation of these starting musical lines. By the time the slower instrumental “Strange Nostalgia for the Future” kicks in, it is a much-deserved break from the energy-infused first half. “Alisa” boasts some delightful synths in the intro and pre-chorus, but these give way to a more basic guitar and drums combination. The song isn’t bad, and the chorus has a definite energy, but it lacks the spark of earlier tracks. The party eventually recovers with “Corner in the Sky,” a wonderfully ambient number. Bolstered by a deep, techno bass, a great pre-chorus synth line, and the explosive chorus, it brings the sound full circle and paves the way for closer “Sun God”. While not a great song, especially vocally and lyrically, it does a good job with winding down for the night, though it does border on the excessive with ten minutes of closing instrumentals. 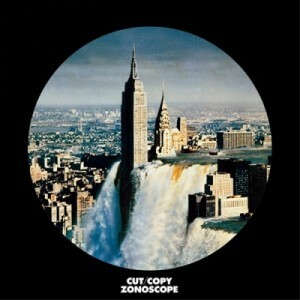 Cut Copy have definite skills in their musicianship, and their most consistent weakness lies in the vocals and lyrics. Most of the time, Whitford’s voice lacks passion and he slurs his words. It serves a purpose as another instrument to add to the texture, but little more. The same can be said of the lyrics, which, with the exception of “Corner of the Sky”, rarely rise above a surface depth. This is much more acceptable though, as the words don’t really matter with music so rich. Zonoscope is exceptional when it plays to Cut Copy’s strengths, but falters when it strays from them. Even so, the excellent highs far outweigh the forgettable, skippable lows. They are talented musicians, but they should stick to what they know best in the future. The National recently taped a live performance for MTV’s Live In NYC series while performing at the Studio at Webster Hall. The band performed four songs from their 2010 album High Violet (“Bloodbuzz Ohio”, “Afraid of Everyone”, “Conversation 16” and “Terrible Love”) and “Fake Empire” from Boxer. You can watch all the performances below.